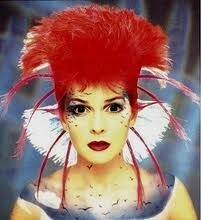 Toyah was the name of the band fronted by Toyah Willcox between 1977 and 1983. The only other consistent band member throughout this period was Joel Bogen, Willcox's principal co-writer and guitarist. Other members have been Phil Spalding, Adrian Lee, Nigel Glockler, Steve Bray, Pete Bush, Charlie Francis and Mark Henry. The following titles are already sold.